Wastewater prevention and recycling are the main points of our attention. For optimisation of current water treatment plants or planning and construction of new water treatment plants we simulate several relevant unit-operations in laboratory and pilot scales. Depending on the tasks, the chosen unit-operations are then combined together to achieve a high purification performance and low operation and investment costs. 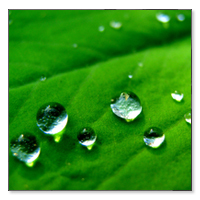 Therefore our water treatment plants are independent of any specific product. Examples of our wastewater treatment plant in PDF for download.